Posted on April 8, 2019 by landcraftersIM wrote in commercial landscaping, General, Tips, Trees, Shrubs, and Vines. Hold onto your hats friends, we’re going full Florida on this post—well, not full Florida, exactly. You won’t find any bathing-suits-in-December, a we-live-where-you-vacation attitude, or Florida-man-on-the-front-page-of-the-newspaper total Florida-isms in this post. But we are going full Florida foliage—that’s right, this one’s all about palm trees. And for good reason. 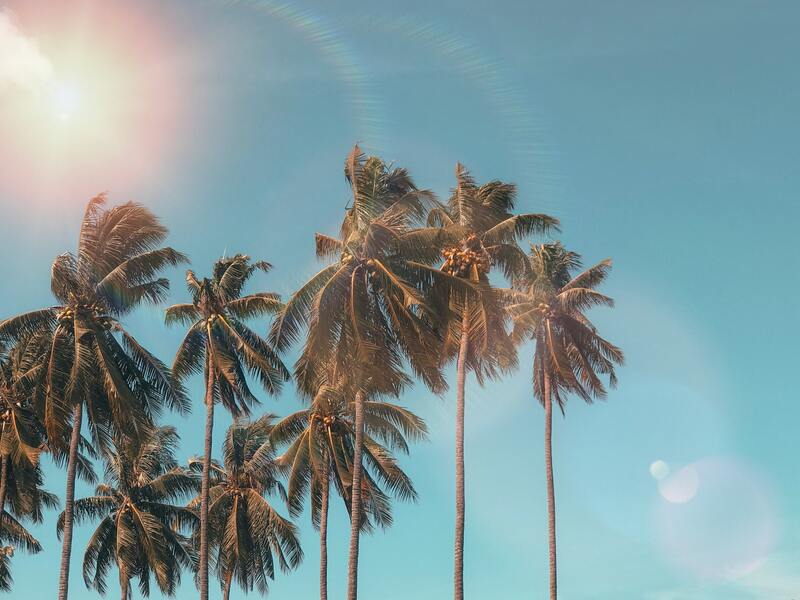 If you’ve read any of our Landcrafters’ blog posts about palm trees, you already know we’re big fans of these Florida favorites (we have a post called An Ode to the Palm Tree, for goodness sakes). But we love these palms for good reason—they grow beautifully here, they’re ever-so-tropical, and for the most part, they’re pretty easy to care for. But just because they don’t require a ton of love and attention doesn’t mean they don’t need some important tweaks throughout the year. The most important TLC they need? Sure, it’s not the most exciting topic in the entire landscaping world, but it’s definitely vital for the health of your palms—and for the safety and security of your landscape! Want to know more about why you absolutely have to trim your palm trees? Check out this post—it’s full of our multi-decade experience on palms. Why Should I Trim My Palm Trees? 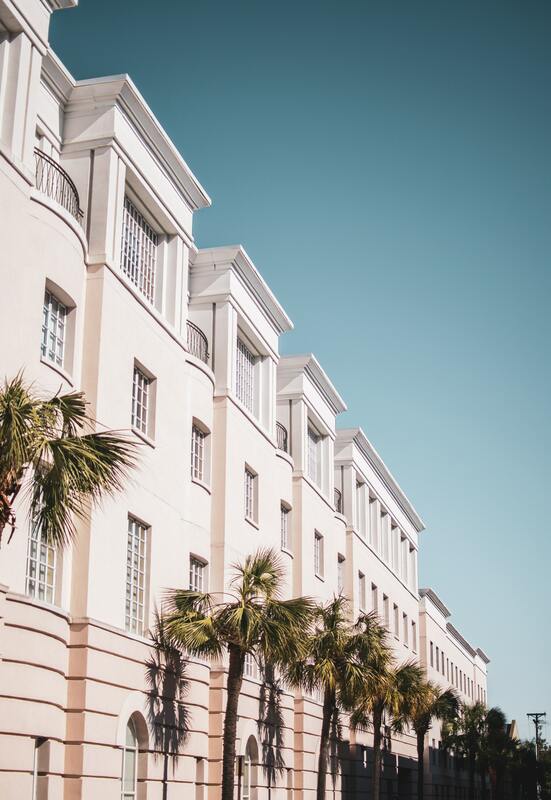 Like we mentioned before, we love palm trees for more than just their awesome, aesthetic Florida value—we also love them because they’re easy to care for. That being said, you’ll need to make sure you’re trimming and pruning your palms consistently. Why? Read on! If you decide to lean fully into the whole I don’t have to care for my palm tree thing, know that eventually, you’re going to run into some problems—and those problems could damage your landscape, your guests on property, and even your palm tree itself. As a tree grows, it gets heavier, parts of it die, and it weighs down on the tree itself. If you don’t care of those dead, brown pieces, they’re eventually going to break, crack off, and tumble to the ground. We probably don’t need to tell you how hugely dangerous this could be for your commercial property—the last thing you want is a piece of palm tree to break off and hit an employee, a customer, or a friend. 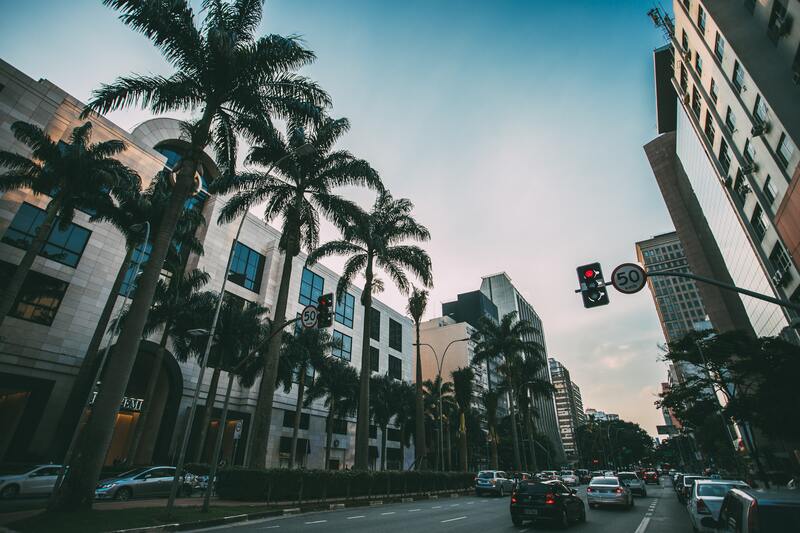 Further, if you have parts of your palm tree breaking off, who knows what material damage could be caused—customers’ cars, your other landscape, or even your commercial property. Pruning and trimming your palms helps to ensure that there’s nothing in their way to prevent them from growing better, stronger, and healthier. Why? 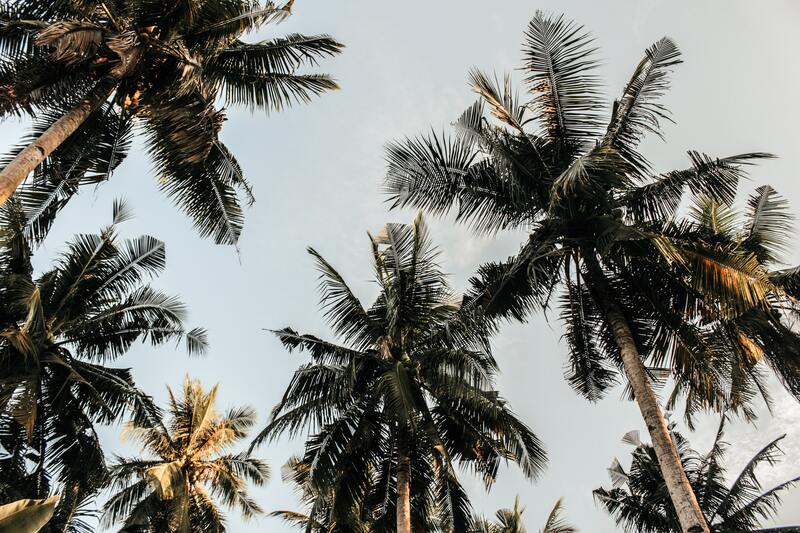 Because many varieties of palm trees will get heavier as they grow, weighing down on themselves, potentially causing parts to break or crack off. Just like with other plants, pruning and trimming your palm trees will remove those heavy pieces, that old-growth that’s stumping new growth, and get rid of the dead waste that’s weighing down on your tree. An appropriately trimmed palm will thrive! Just be careful not to over-prune or trim—your palm needs those green fronds to help with its food supply (if you cut too many of those off, you could inhibit the palm’s growth). This kind of falls under the whole “damage” reasoning, but because this is so poignant in Florida, we wanted to give it a section of its own. 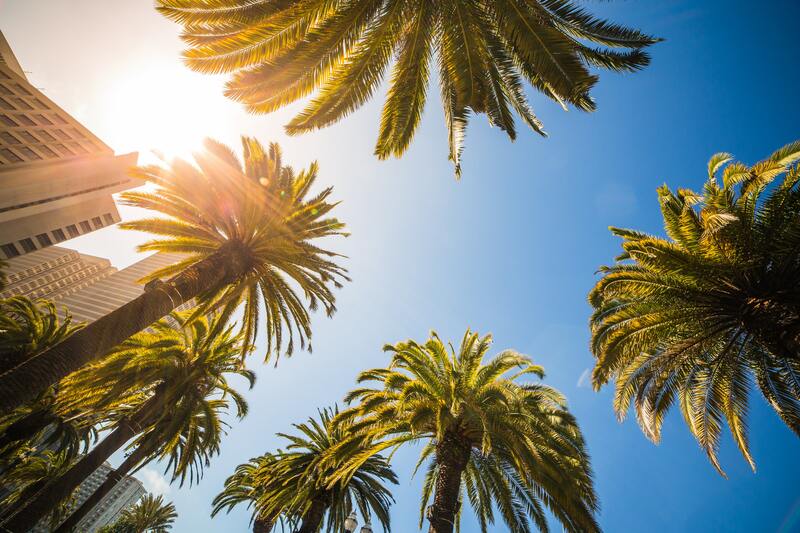 When hurricane season hits, it’s anybody’s guess what’s going to happen—that’s why it’s absolutely vital to take care of your palm tree pruning before season hits. The last thing you want is 70mph winds whipping around your neglected palm tree—who knows what kind of damage that could cause. Check out a few of our other hurricane season precautions and preparedness tips here! Even better, next time hurricane season is about to hit, check out our tip sheet to ensure you’ve taken care of everything needed. Of course, this is a reason to keep your palms pruned and trimmed. Aesthetics matter, especially for a commercial property where landscapes make the first impression. 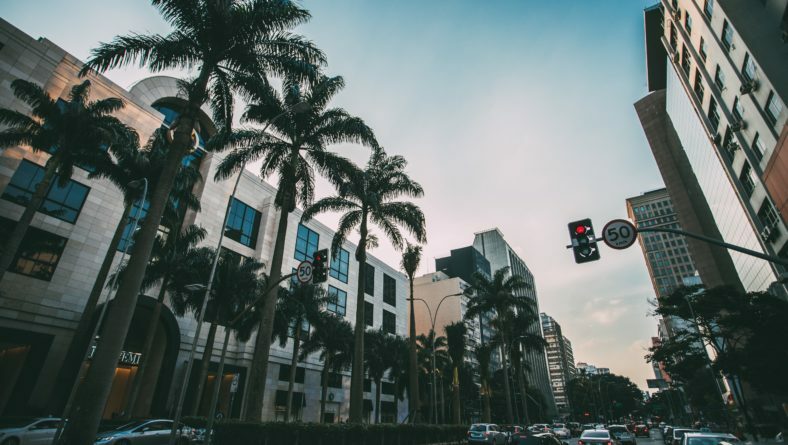 Keeping your palm trees pruned and trimmed will ensure that they look tidy and maintained—this shows that you care about your property, your customers, and your commercial business (that’s never a bad thing for business). When Should I Trim Palm Trees? This is a short and simple answer, so we’ll keep this section short and simple, too. Overall, you should only trim or prune your palm trees when you see dead fronds that are weighing down your tree—they’ll be brown, dry, and grim looking. Realistically, that’s probably about 1-2 times every year. That being said, if you haven’t trimmed your palms in a bit right before hurricane season hits, we recommend taking some clippers to those bad boys. Or, give us a call, and we can help you out. How Should I Trim My Palms? Trimming and pruning palm trees don’t have to be hugely difficult, but you do want to make sure, above all, that you’re not over-pruning or over-trimming. Palm trees require those healthy, young, green fronds to ensure they’re getting a steady food supply, which, in turn, directly contributes to their growth. If you chop off too many of those bad boys, you can kiss your thriving palm tree goodbye! Be careful not to over-prune your palms when you start trimming—simply remove the dead, heavy pieces that are weighing your tree down. Not sure how to go about pruning and trimming your palms? No worries. We’ve got you covered. Landcrafters has over 20 years of landscaping experience in Florida. Translation? We’ve got two decades of palm-tree knowledge and we’re ready to share it with you! Feeling a little bit more confident about when and how you should trim your palm trees? We hope so! Remember, if you have any questions—palm tree related or not—you can always reach out to us. We’re happy to provide answers, set up consultations, or get your landscaping services going in a pinch. Reach out to us at (727)201-3947 or check out our contact page here. Want more landscape inspo, advice, and tricks? Keep up with our regularly updated blog for more!